With the high frequency of liquid invasion instances, the 911 Restoration Jefferson County team wants homeowners to know that we are there for them in the event that they need us. Water damage is responsible for 1/3 of all homeowner insurance claims in the United States. Accidents do not wait to happen, and homeowners deserve a restoration company that is available 24/7/365. That is why John Fowler, owner and operator of the branch, is happy to be here for the community all year long, for all matters. “When a water related incident occurs, it could drain a lot from the homeowner’s morale, so we want you to know that we are here. You’re not alone,” he reassures Jefferson residents. 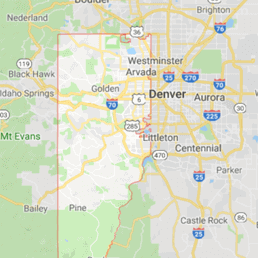 Due to things like mold activating within 24 hours of water damage, we need to be there fast, so count on us to be there within 45-minutes with same day service. It is what needs to be done to bring homeowners a fresh start, so contact our water damage restoration Jefferson County experts with 911 Restoration Jefferson County for exceptional services today! The key to water damage mitigation is curbing the total cost of damage in both sentimentality and monetary terms. Water damage will happen at any time, so here are some tips from the water damage Jefferson County team to ensure that your recovery time is at a minimum. Store valuables, such as photos, in waterproof airtight containers. No need to go out and buy fancy equipment, a zip lock bag is simple enough. Know where your pipes run, so that you can avoid putting valuables in high-risk areas. The room beneath a bathtub or next to a water line is a bad place for a home office. Become familiar with where the water shut-off valve in your home is. Turning it off in the event of a pipe burst will save you money. Check pipes frequently for leaks, as an undetected leak is as bad as a big burst. Furthermore, check water-connected appliances for wear-and-tear on hoses. Usual manufacturer warranties suggesting replacing them every ten years, but in reality they should be checked monthly. If you find a leak or damage then they should be replaced as needed. Signs of water damage include discoloration, crumbling drywall, and increased humidity in rooms. If you find any of these signs then call the water damage Jefferson County team at 911 Restoration. The water damage Jefferson County team is trained in fast, honest, and professional remediation services. If you have a little water, or an accidental indoor swimming pool, call us for a free home estimate. It is important that you can trust your restoration company, and we believe that homeowners should have full informed consent. Thus, we do not start working until your situation is completely explained to you. The fresh start relies on that because your new beginning should keep the past behind you, and you should look forward to a tomorrow that is better than anything that came before it. Our team is insured, licensed, bonded, and IICRC certified in order to properly bring you peace of mind that is unprecedented. When we walk through your threshold, trust that we have the solutions to all your problems with us. The knowledgeable technicians know how to use the wide array of tools that water damage restoration requires. Your peace of mind is one with the state of your home. We will use our wat vacuums, dehumidifiers, and everything we need to get your home looking brand new, so you can feel renewed. 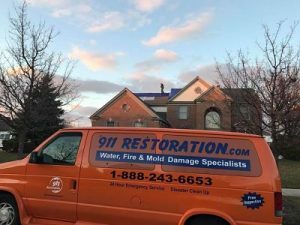 Rely on us to bring stability and tranquility back to your mind, call our water damage restoration Jefferson County experts with 911 Restoration Jefferson County for the fresh start you need today!